This is the fourth installment of a regular series entitled “Cantabriggian Details,” about Cambridge, UK. The Eagle is a famous one because its where Watson & Crick celebrated the discovery of the double helix, and there’s a room in the back with signatures from RAF members. Plus its in the dead center of downtown. 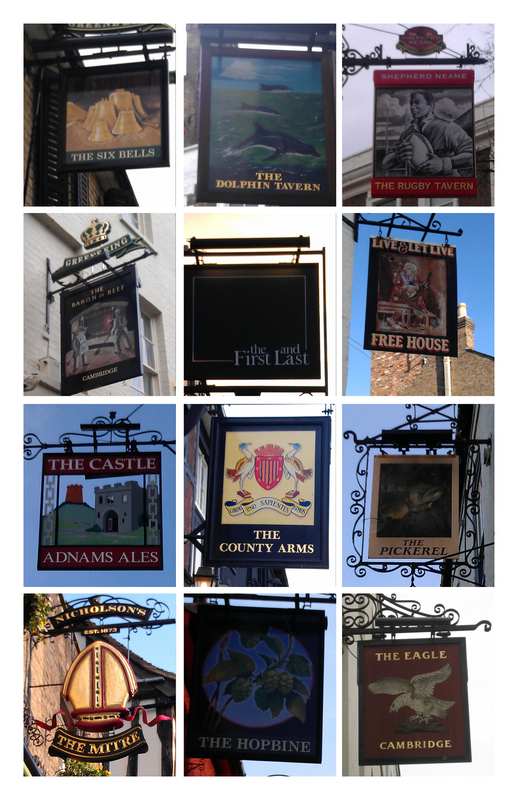 The Six Bells is right next to my new workplace, though, and the Live and Let Live is just around the corner from that – so if I’m partial to any of these places its those two.